Welcome back to another fun filled week of books. A fairly small week for me, which was nice because I was able to pick up my Sons of Anarchy T-Shirt. Can't wait to wear it. There are four books this week that are at the bottom of my reading stack, which is where I put all the good reads, because you should save the best for last. Green Lantern, Green Lantern Corps, Catwoman, and Saga are those four books this week. If you want something great to read then I highly suggest you try these titles out. DC Universe Presents starts a new story arc starring Kid Flash. I'm curious to see if Fabian Nicieza can give us a memorable take on this Kid Flash. We will just have to see, but if I'm not impressed I will have to say good-bye to DC Universe Presents until the next arc. The infamous Rorschach gets his turn in the Before Watchmen spotlight this week, and despite the fact that the Before Watchmen titles have been on my reading list I must say that some of them are good reads and I may have to eventually pick them up in trade. Hopeful Rorschach delivers and we get to see more of the mask vigilante who's face his hidden behind an ever changing mask. AvX ten is out and all I can think of is that I am so glad that it is almost over. The event as a whole hasn't impressed me, and the only thing I can say that is positive about AvX is that the book was a hundred times better when John Romita Jr's art was no longer corrupting the pages. Soon we will be done this this, and moving on to more garbage from Marvel Now!. So, be ready to see Marvel books disappear from my reading list entirely, but hey there is always hope something might be worth reading. Well that is my blurb for this week's books. 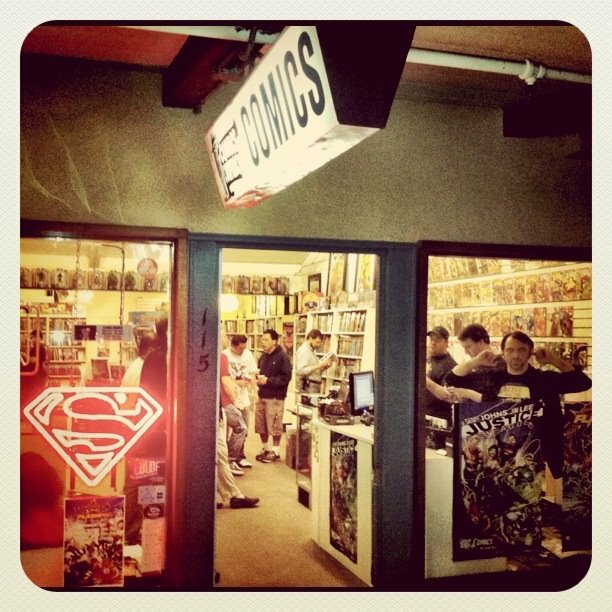 Get down to your local shop or over to the Comics Conspiracy - Comixology Storefront to get your pull list filled. I'm off to enjoy my last weekend before the day job starts up, and celebrate turning a year older. Man, DCUP #12 was so bad. I was hoping for a fun standalone KF story, but instead it was a weak Teen Titans tie-in. Also have you read Captain Marvel? It's really good, and despite what Higgins says it has real good art.